Reporting in PLOS Medicine, researchers found that for every 1000 children who received the vaccine, 800 malaria cases can be prevented. While this is not yet sufficient to eradicate the disease, it is the closest scientists have gotten to a malaria vaccine. Malaria affects millions of people every year throughout the world, claiming just under 1 million lives in 2013 – most of them in the poor areas of sub-Saharan Africa. 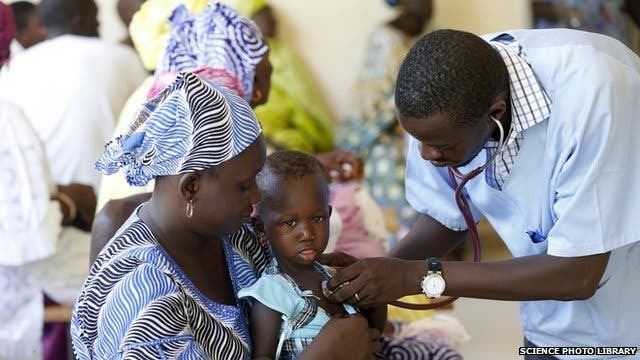 Malaria is caused by parasitic protozoans (a type of unicellular microorganism) and is commonly transmitted by the bite of female mosquitoes; basically, when they bite, they inject some of their saliva, along with the pathogen. The key to controlling malaria spread is controlling mosquito populations. Malaria was also common in North America, Europe and the Middle East, but it was eradicated (more or less). However, in Africa, the situation is much different. There are three main aspects to the spread of malaria: high human population density, high anopheles mosquito population density and high rates of transmission from humans to mosquitoes and from mosquitoes to humans (an infected human can also spread the disease to a mosquito). If any of these were lowered significantly, the disease could be eliminated – but sadly, in the poorest parts of Africa, this is not really feasible at the moment. This is where the malaria vaccine comes in. In the biggest trial up to date, 1,500 infants and children were given the RTS,S vaccine. Scientists revisited them one and a half years later, and found that in young children the cases of malaria were halved, and for infants they dropped by a quarter. The effects of the vaccine seem to fade in time, but lasting 18 months is quite significant. You may read in other press (even scientific press) that a vaccine for malaria was created – this is not entirely true. Keep in mind that while successful, the vaccine had limited effects, and to call it a be-all end-all for malaria would be premature and not yet warranted.